Congratulations on your Engagement! Now let us help design and create the wedding ceremony of your dreams! 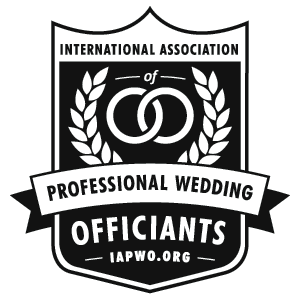 Our team of Professional Wedding Officiants are experienced and trained to provide you with a stress free wedding ceremony that you and your guests will enjoy & remember! 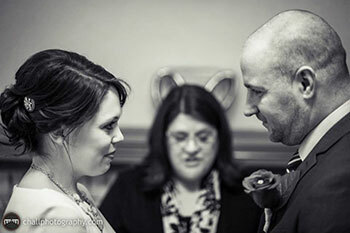 Your ceremony will be Personalized and Customized to your specific ideas and beliefs. We understand the needs of today’s couples. Click this link to EMAIL us. Text 402-980-2984 or Call 402-965-1060. We now offer online scheduling for your convenience. CLICK HERE to find a date and time that works for you. During your consultation you will meet with the Owner, Carol Lynne, and discuss your vision and the details of your wedding ceremony. 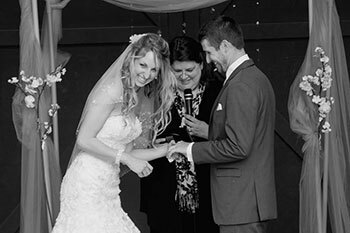 We will provide you with samples of wedding ceremonies including Vows, Love Letter & Wine Box Ceremonies, Sand Ceremonies, Unity Candle Ceremonies, Remembrance Blessings, Poems, Prayers and Scripture, Ring Exchanges, Joining of Hands Ceremony, Hand Fasting, etc… all the information that you need to create your customized ceremony. Our goal is to make your event a very special and problem-free celebration for you and your guests. We are available for suggestions to help select a venue for your ceremony/reception, photographer referrals, and any other detail you would like assistance with. Our services are outstanding. And our friendly, professional staff will courteously attend to your every need. Experience Matters on your Wedding Day!